Preheat the oven to 400 degrees F. In a small/medium skillet, toast the sesame seeds in one even layer over medium low heat until the seeds are browned, stirring them to keep them brown burning. When toasted, set them aside to cool. 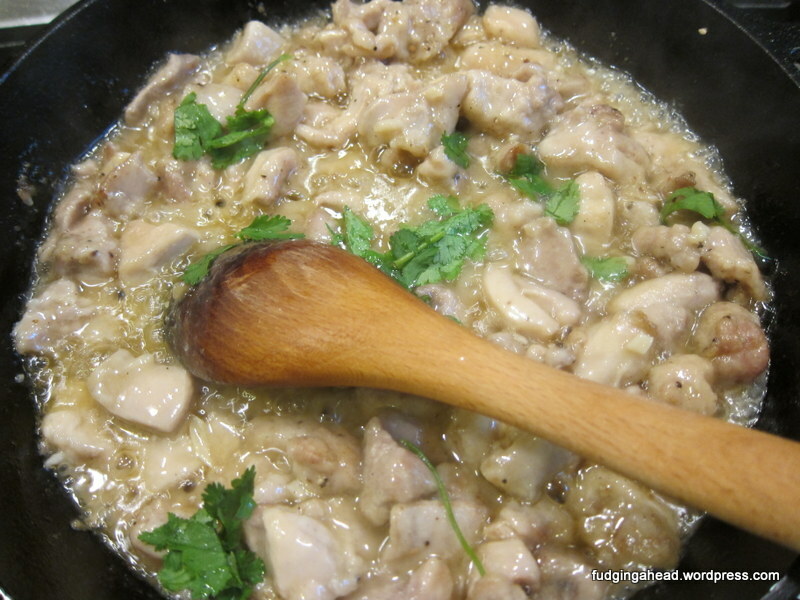 In a bowl, mix together the chicken with the salt, pepper, and flour. 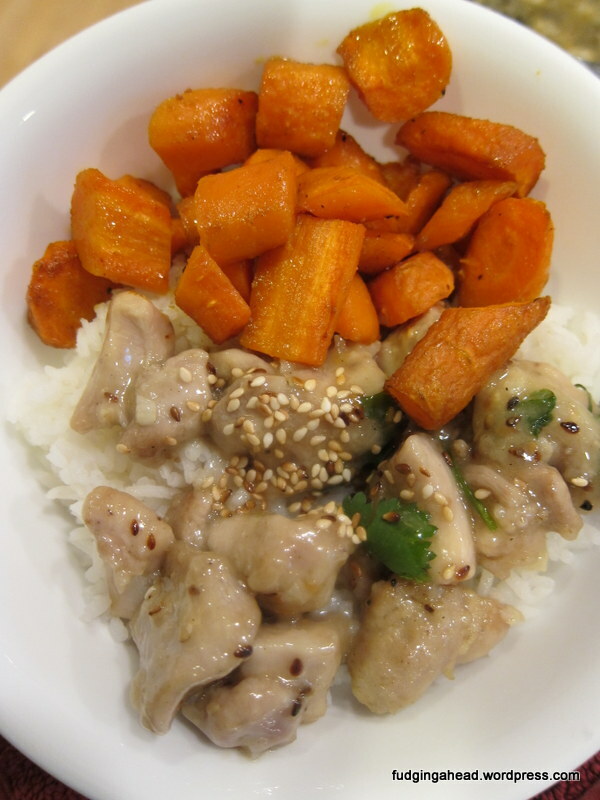 In a different bowl, whisk together the soy sauce, garlic, brown sugar, rice vinegar, chicken broth, and sesame oil. Take a medium-large skillet that is safe for the oven (like a cast iron skillet) and heat the vegetable oil until sizzling. 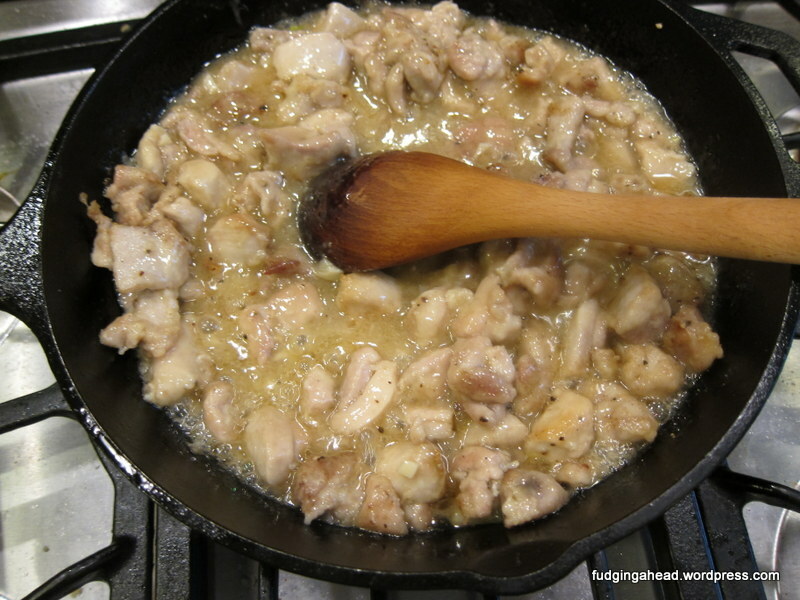 Add the chicken in a single layer (do batches if necessary) to brown the chicken on both sides. 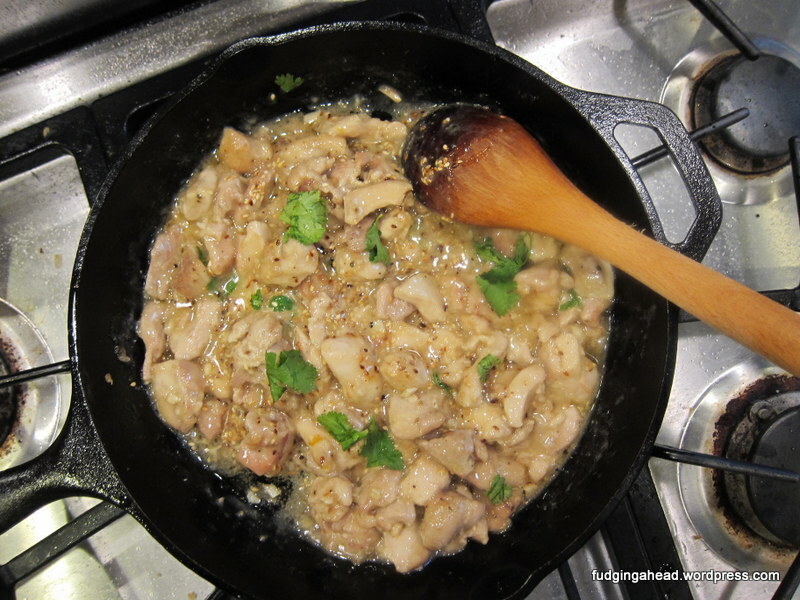 Once the chicken is browned, add the soy sauce mixture, stir to coat, then remove from the heat. Add half of the cilantro and sesame seeds, then bake in the preheated oven for 20 minutes until the chicken is cooked through. 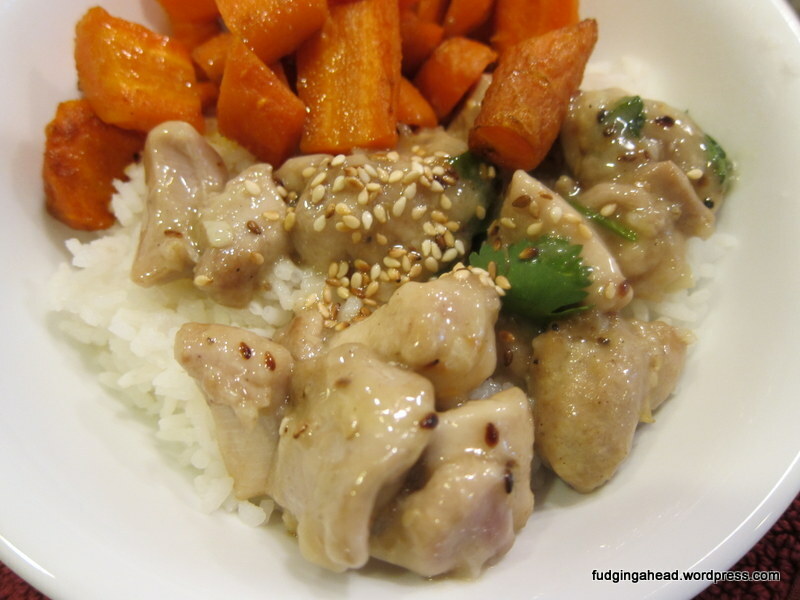 Serve with the remaining sesame seeds and cilantro on top. Take a medium-large skillet that is safe for the oven (like a cast iron skillet) and heat the vegetable oil until sizzling. 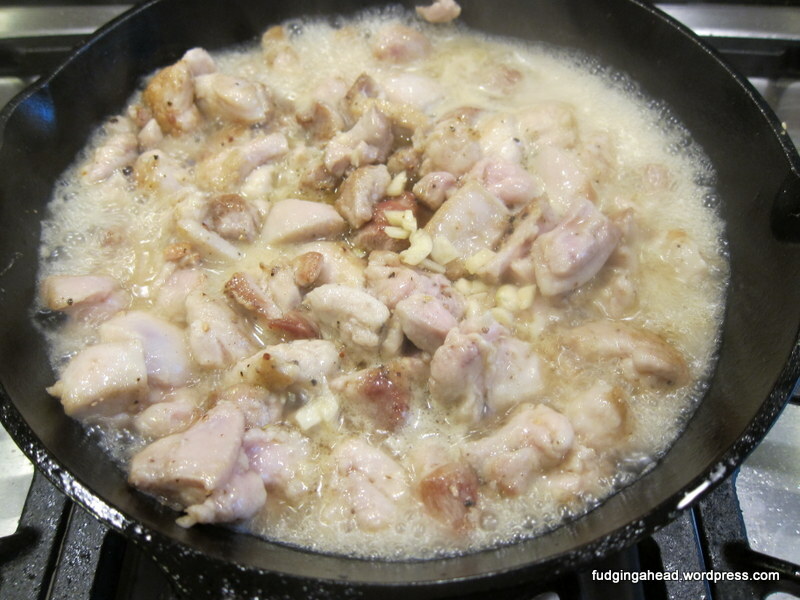 Add the chicken in a single layer (do batches if necessary) to brown the chicken on both sides. 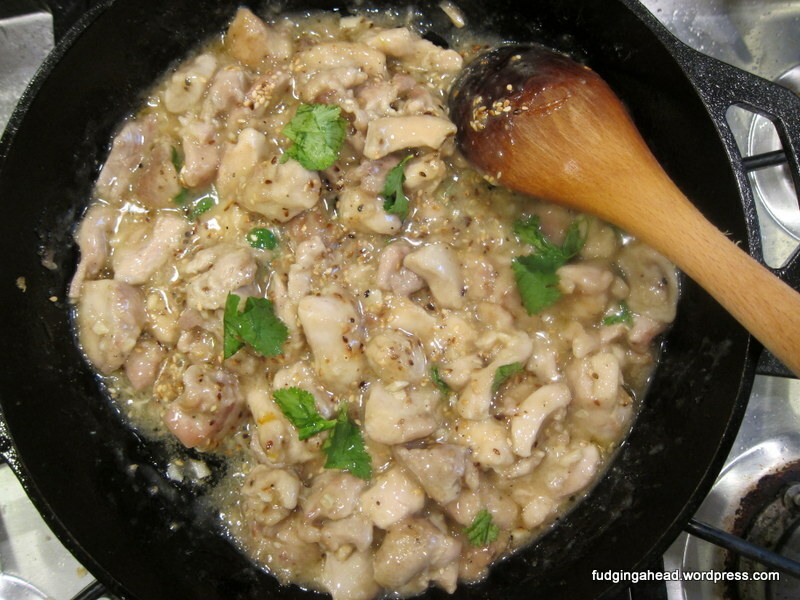 Once the chicken is browned, add the soy sauce mixture, stir to coat, then remove from the heat. Add half of the cilantro and sesame seeds, then bake in the preheated oven for 20 minutes until the chicken is cooked through. 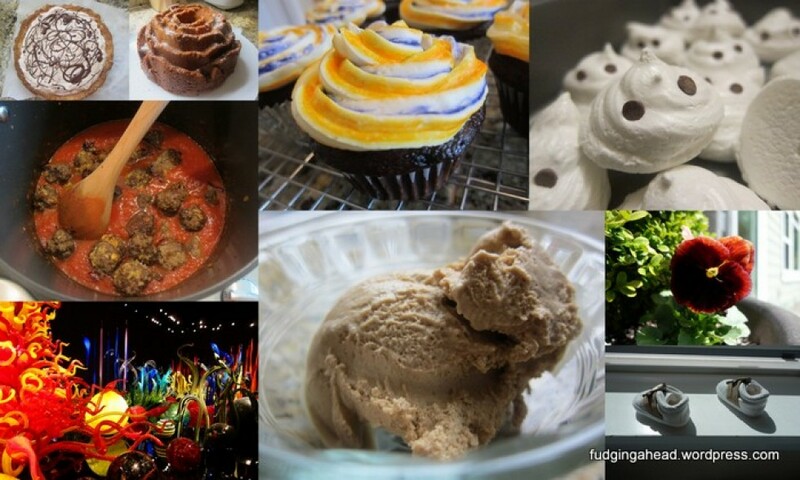 I love this recipe, Thanks for sharing.